When inspiration strikes, it does so unpredictably and without regard for convention. The technical boundaries of any given craft don’t limit the individual scope for creative inspiration — a philosophy that The Macallan have championed for a decade through their original, highly limited Masters of Photography series. Since 2008, the River Spey’s most renowned distillery has espoused the virtues of photography — a discipline every bit as technical, demanding and expressive as the art of blending. Whilst previous Masters of Photography expressions from The Macallan have sought to distill the creative process of a singular significant photographer into a bottle, The Macallan Master of Photography Magnum Edition may represent the most literal connection yet. It is a unique single malt that channels the personalities of no less than 6 different MAGNUM Cooperative photographers; accompanied by their exhaustive photo-documentation of the new distillery. 6 gallery grade prints accompany each edition of The Macallan’s latest Masters of Photography release. More objet d’art than fleeting consumable. 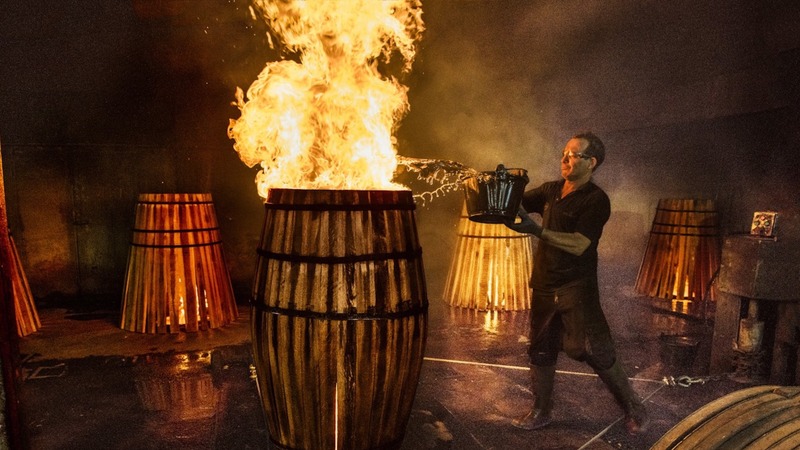 For many years, The Macallan has celebrated mastery and craftsmanship through their willingness to explore different highly unexpected avenues of inspiration. A traditional and heavily regulated craft, whisky distillation can often suffer from a lack of vision; the desire to touch something emotive in the consumer marginalised in favour of more quantifiable properties (e.g. distillation method, choice of barrels et cetera). Curiously enough, another equally traditional craft is prone to the same phenomena — we are talking, of course, of bespoke shoemaking. Since 2009 — not long after The Macallan launched its Masters of Photography series — Mr. Masaru Okuyama has been a bespoke shoemaker. An understudy of the English-trained Tokyo-based cordwainer Chihiro Yamaguchi, Okuyama is quite possibly the most skilful men’s shoemaker residing in Hong Kong. Why is he the perfect foil to The Macallan’s latest Masters of Photography release? We think you can probably guess. “Whenever I think about new designs I find inspiration in the art of photography” says Okuyama. “Initially, the [two crafts] seem to have little in common, but the task of fitting objects inside a frame and translating a design into footwear share many similarities.” And what designs they are: long elegiac insoles not unlike the panoramic output of Steve McCurry; nuanced chiselled silhouettes that record every detail, in the technical style of Mark Power. We explore, through a detailed look into Okuyama’s workshop, how the spirit of craftsmanship transcends whisky and shoemaking below. The Macallan Master of Photography Magnum Edition is now available in a limited release of 2,000 units. Each unit includes a a special release whisky, six signed MAGNUM Collective prints and an exclusive photographic compendium. To find out more, visit The Macallan online.